Teddy is a recent graduate from The School of Film & Television at Falmouth University. 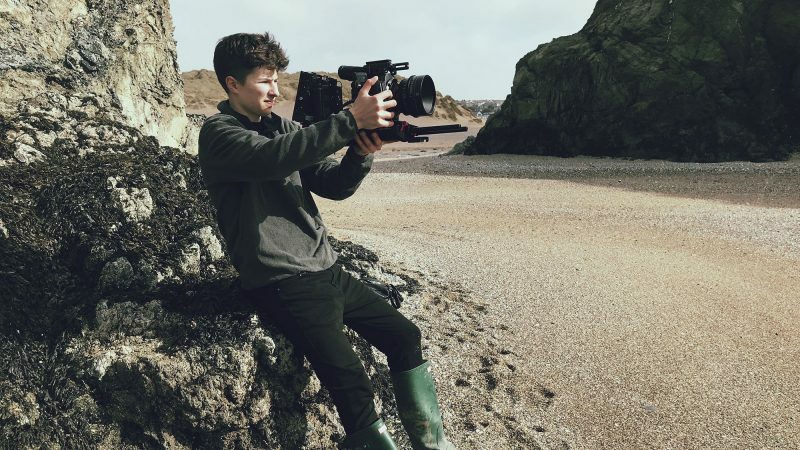 Whilst studying at Falmouth he worked on many films as a cinematographer, gaffer and writer/director. These projects ranged from live theatre/music recording, experimental and narrative shorts, to documentaries. He finds inspiration in watching films, watching people and looking at the work of artists and photographers, such as, Basquiat, Gregory Crewdson and Dorothea Lange. He is motivated by the desire to rejuvenate the British Film Industry and celebrate everything that makes it different from Hollywood. I have been aware of Blast Theory for many years now and have complete admiration for the work that those within the group create. Every single Blast Theory project has an articulate ideology and this is always executed in a unique and innovative way. I feel very excited to be a part of the process of creating one of these projects and I am interested to see how my experiences at Blast Theory will affect the work I will create both during and after the internship. I began interning at Blast Theory when they were in the later stages of pre-production for Bloodyminded, Europe’s first live interactive feature film. It was an incredible experience to work on the film, initially a production assistant, and then to join the crew as second assistant camera on set. The internship gave me more opportunities than I could ever have hoped for and it has helped me to shape the next steps in my career.